The 54th Annual Natural Resources Law Institute will be held in Hot Springs, Arkansas February 26, and 27, 2015 at the Hot Springs Convention Center. The Embassy Suites Hotel is the sponsoring hotel. This event is the marquee oil and gas industry and legal convention in Arkansas, and annually boasts the second largest attendance of any other Arkansas Bar Association meeting (second only to the Association's annual meeting). 9:30 - 10:00 a.m. Litigating Common Oil and Gas Title Suits, Matt Davis, Esq. The full brochure for the Natural Resources Law Institute has additional information. If you are an Arkansas attorney, you can register through the Arkansas Bar Association, online. Otherwise, register by calling the Arkansas Bar Association, or contact me for more information. 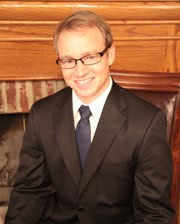 C. Michael Daily is an oil, gas and mineral law attorney with the long-established law firm of Daily & Woods, P.L.L.C. and is licensed to practice oil, gas, and mineral law in Arkansas, Oklahoma, North Dakota and Wyoming. Oil, gas and mineral law attorney C. Michael Daily can be contacted by telephone at 479-242-3953, by email at mdaily@dailywoods.com, or by regular post at 58 South 6th Street, Fort Smith, Arkansas 72902. C. Michael Daily accepts oil, gas, and mineral law cases in Columbia County, Union County, Pope County, Franklin County, Sebastian County, Faulkner County, Van Buren County, Conway County, Johnson County, Pulaski County, White County, Searcy County, Scott County, and Cleburne County, Arkansas. C. Michael Daily represents mineral producers at all stages of production, assists mineral owners with ownership disputes, and represents his clients in state, federal court and before the Arkansas Oil and Gas Commission. You can follow Oil, gas, and mineral lawyer C. Michael Daily via social network using any of the social network links in the right hand column of the page. Disclaimer: This blog is for informational purposes, is certainly not to be considered legal advice and is absolutely not a substitute for any of the benefits that are associated with the attorney-client relationship. Your case is unique--if you have an Arkansas oil, gas, or mineral law question, you can contact C. Michael Daily.